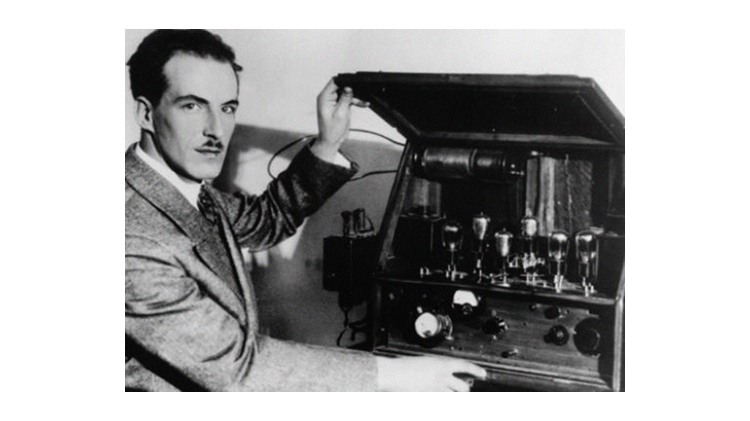 Theremin World - When Was The Theremin Invented? As the 100th anniversary of the theremin draws closer, we explore an often asked (and incorrectly answered) question. According to the book Theremin: Ether Music and Espionage by Dr. Albert Glinsky, Lev Termen had been relocated to Petrograd in 1919 to work in the Electrotechnical Institute. He was working on an "international-reception radio station" when he received a phone call from a former colleague, Abram Fedorovich. The two had first met when Termen was just sixteen and had attended the presentation of Federovich's Master's thesis. Fedorovic invited him to come work at the newly formed Physico-Technical Institute, and Lev Termen left the next day. Glinsky's book describes that Lev Termen's first assignment at the institute involved working with X-rays. However, with the X-ray lab running short on space, Fedorovich found Termen a new space in a nearby building and set him up with his own facility. This took place in "early 1920". Termen's next assignment was to build a device to measure the density of gasses. He added an audible circuit to the instrument to improve his ability to measure subtle changes in density. However, he noticed that his proximity to the instrument was interpreted as a change in density and thus affected the audio circuit. He continued to experiment with ways to control the sound, starting with a simple foot pedal for volume and later changing it to a second antenna. He demonstrated the instrument to Fedorovich in October 1920, and his fantastic journey took off. So there you have it! While we don't know the exact date, we can pin down the range to somewhere between early 1920 and the Fall of that year. The 100th anniversary of the theremin is less than 2 years away, and we've already heard about a number of concerts, music releases, and other events being planned to help celebrate. To learn more about the history of the theremin and its inventor, we highly recommend Dr. Glinsky's book!